I certainly do not overly decorate for Easter, for I am not too fond of the pastel colors of the season. I instead like to use deeper colors of turquoise, fuchsias, and oranges. 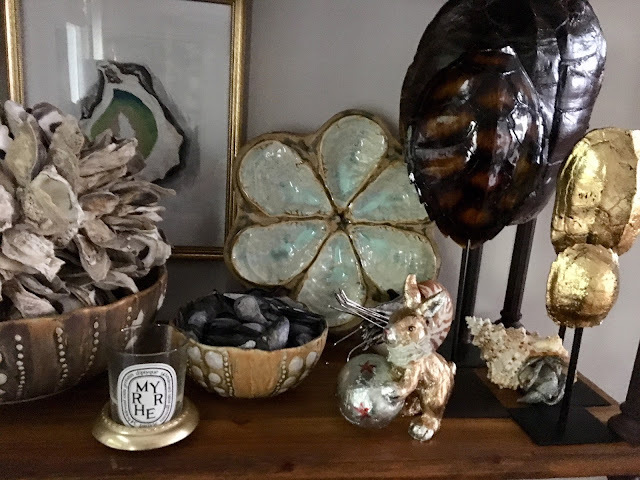 I like to use the marbleized and gold gilded eggs I was lucky to get my hands on several years ago. A couple bunnies here and there also signal that the Easter season is upon us. I love the vintage-looking foil bunnies. Hip, Hop in the Parlor, y'all! It's Easter in Uptown Acorn style! I love the bunny in the vest with tails...very handsome! Looks great Ron. I like the eggs poked in the hydrangeas. Love all the bunnies! Happy Easter, Ron! 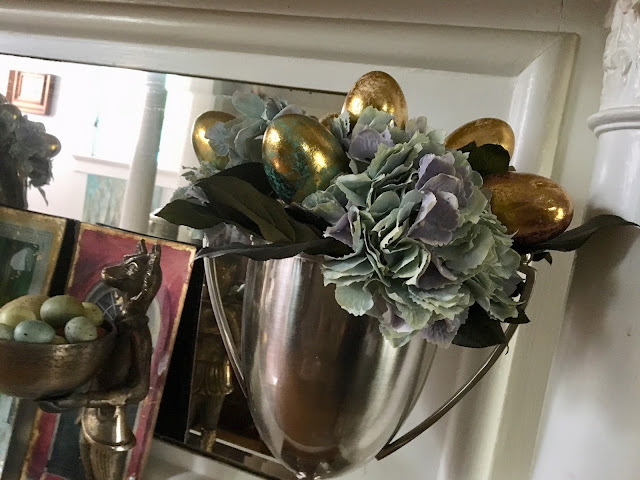 You could even keep the bolder greens and purples from Mardi Gras up for Easter. Like you, I'm not really a pastel person either. I completely understand. Some pastel decorations feel so old lady or Kmart to me. 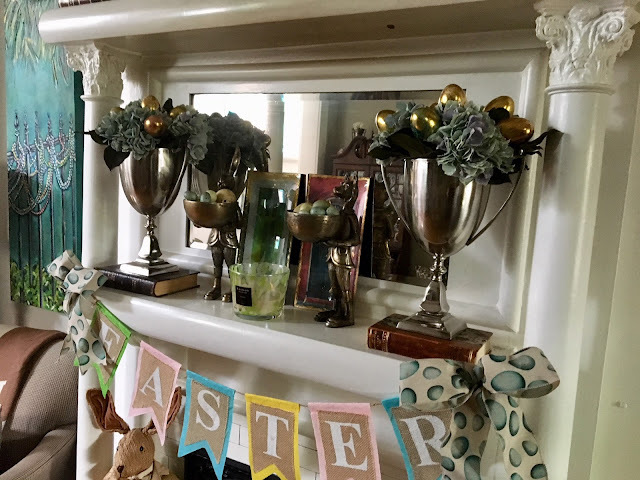 I put out three "Easter" decorations this year two "mercury glass" styled bunnies and one egg. Am I an Easter grinch? I don't think so. We had gihardelli bunnies, Lindt chicks and Reese's peanut butter eggs and jelly bellies. I allow candy as long as it's good candy. 😋 Andrew got some nerf stuff, a video game and clothes along with the candy.